Green Light Booking is the go-to Utah event entertainment company when it comes to booking entertainment and production services for important Utah grand opening events. One of Utah’s biggest mall grand openings in recent years was City Creek Center in downtown Salt Lake and Green Light provided the bulk of the entertainment for the lavish 4-day opening. Popular fashion chain H&M opened their first store in Northern Utah, located in the fabulous Station Park Shopping Center in Farmington. 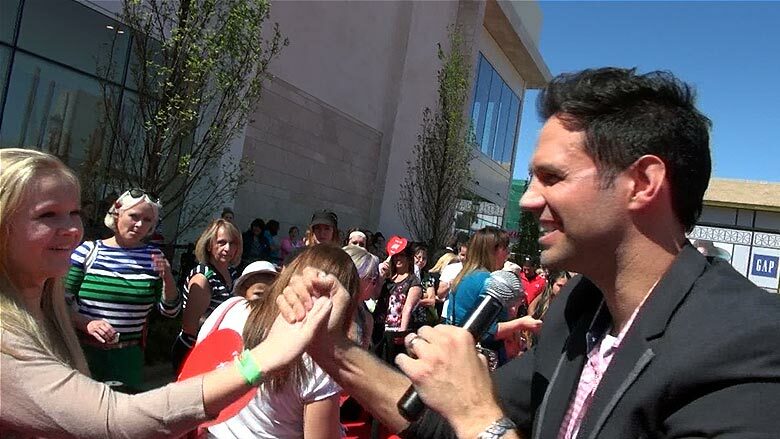 Again, Green Light provided local celebrity entertainment that included David Osmond of the famed Osmond Family, and Jenn Hardman, feature reporter for KSL’s Today Show. We also brought in servers, models and hostesses, along with music and DJ entertainment that kept the crowd thoroughly entertained for hours. We also provide the best live bands in the country for community concert series and special events. Green Light will be providing both the live cover bands and production services required for Station Park’s upcoming 2013 Summer Concert Series, an extravagant community multi-week event. We will be providing some of the best live bands in Utah as well as flying in some talented bands from other parts of the country. In addition, we’ll be providing stage, sound, lights and other important production services for the Station Park event. When it comes to entertainment and event production services, let Green Light Booking help you turn your grand opening or special event into something spectacular. No matter what type of grand opening, event, or concert series you’re planning, Green Light can help you from start to finish. We offer all types of entertainment from typical to unusual including live bands, hosts, emcees, professional dancers, singers, musicians, cirque acts, living statues, stilt walkers, balloon artists, face painters, green screen photographers, pony rides, and more. We can also provide stages, sound systems, lighting, food servers, models, and whatever is needed to keep things running in an orderly fashion. For the best in grand opening entertainment and event production, look no further.